Amidst calls for ELD delays and political fervor that may be capturing the attention of the trucking industry, commercial truck part manufacturer Minimizer reported earlier today less politically-charged news – the launch of its Super Single Fenders line. The Blooming Prairie, Minnesota-based company reports that the release of the fenders follows years of research and development as well as a desire from the industry for such a product. "This is something we've been working on for a long time," said Minimizer CEO Craig Kruckeberg. "We had a lot of requests for fenders designed specifically for wide-base tires and didn't want to release anything that wasn't up to our usual Tested & Tortured standard." According to Minimizer, four models of the Super Single Fender have been released, and these fenders measure 19 /12 inches wide, specifically tailored for wide-base tires. "Lots of fleets and owner/operators run wide-base tires," said Kruckeberg. "This is a large part of the marketplace that we have yet to explore. 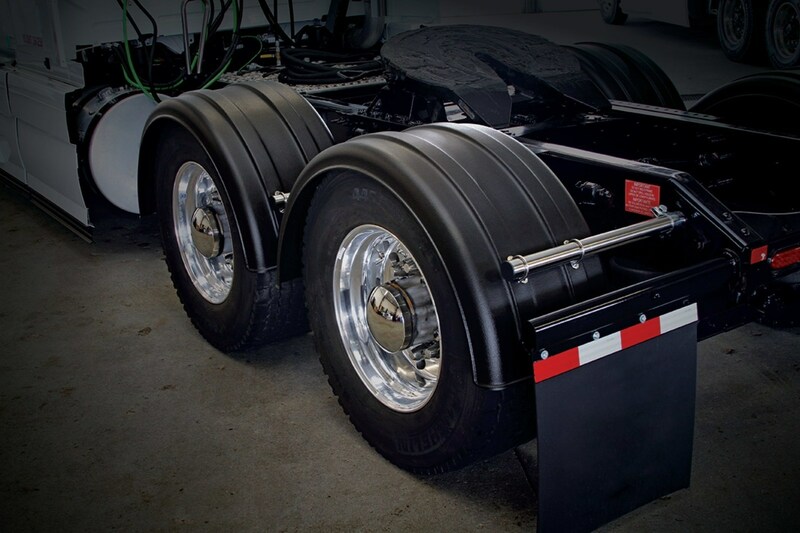 Our Super Single Fenders will fit those trucks and trailers perfectly." Minimizer reports that all four Super Single Fender models – 221, 9021, 4021 and TR4021 come in standard Minimizer colors and specialized finishes, save for the 9021 which does not come in green. "We're really excited about Super Single Fenders," said Krukeberg. "Extending our fender line is the perfect way to close out 2017." Interested parties may visit Minimizer’s website for more information on the new fender series.